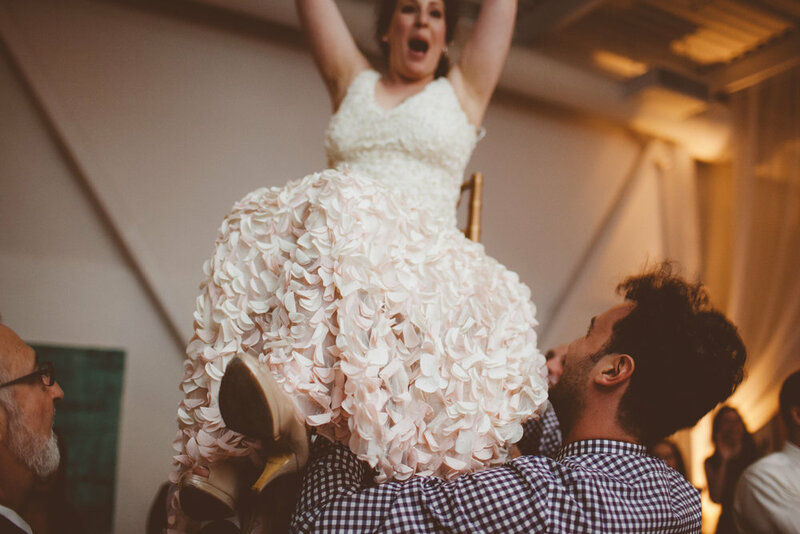 Oh man, if only we could plan this wedding again and again, it would be worth it to relive the joy, laughter and free-spirited whimsy of this amazing wedding day. Let's set the scene - we've just survived another brutal Boston winter, and as we approach April it's proving difficult to see beyond the wet, chilly days of an early New England Spring. The bride - a bright ball of hilarious sunshine - had no reservations about the weather. "It's going to be an awesome party and we're going to get married." And that was all she wrote. But for the planning team, we dreamed of a perfect 70 degree spring day for this couple whom we had spent the last 14 months planning with and who we were now proud to call friends. 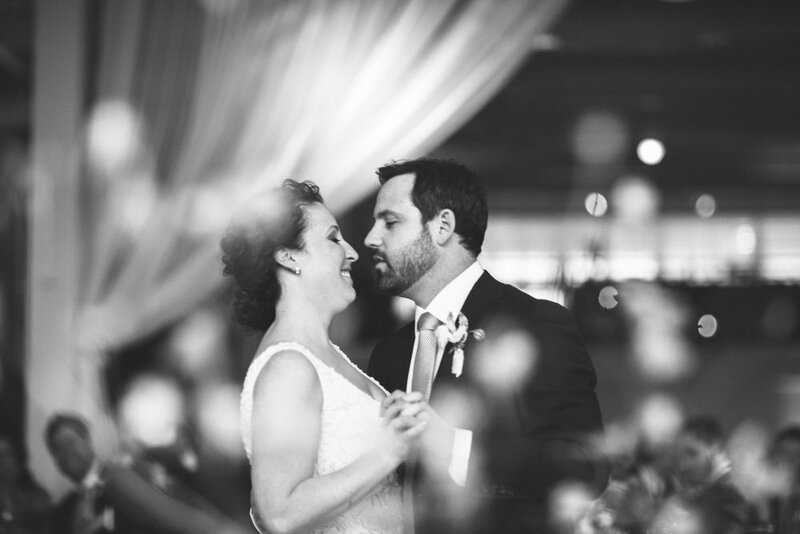 For a couple like Anna and Bret who are so completely smitten with one another and who bring happiness and laughter wherever they go - you just want everything to be perfect, because frankly, they deserve it. 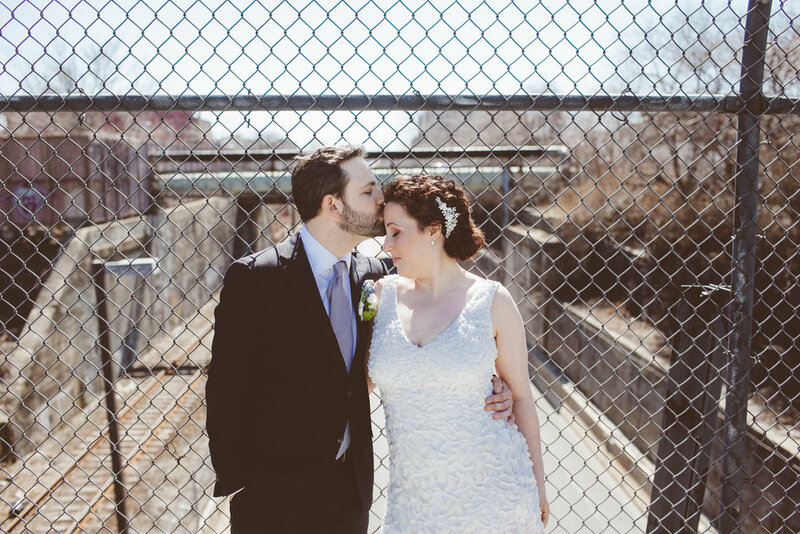 Not only was their wedding day weather a surprise hit (perfect, cloudless, 72 degree day in April) but the event as a whole was magical. 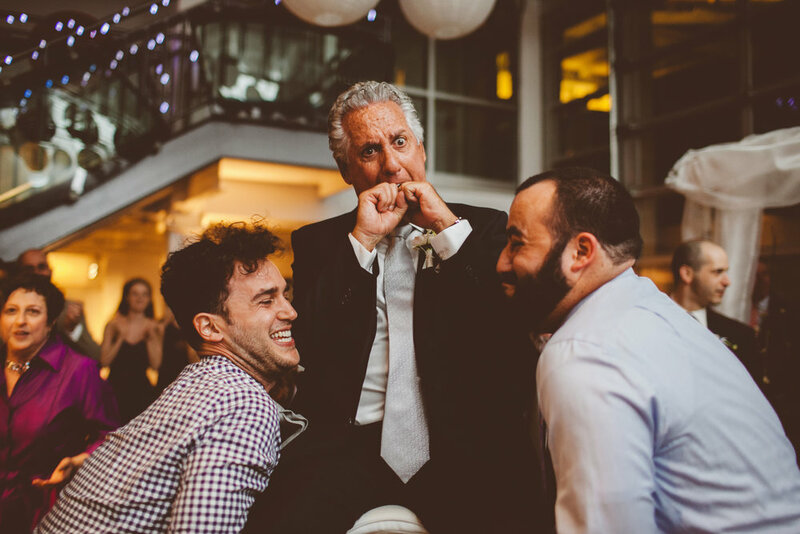 Abby Lorenz of Lorenz Photography added her quick wit and hilarity to this fun day, and the gorgeous and talented DJ Nixx got the party started the moment she stepped onto the scene. 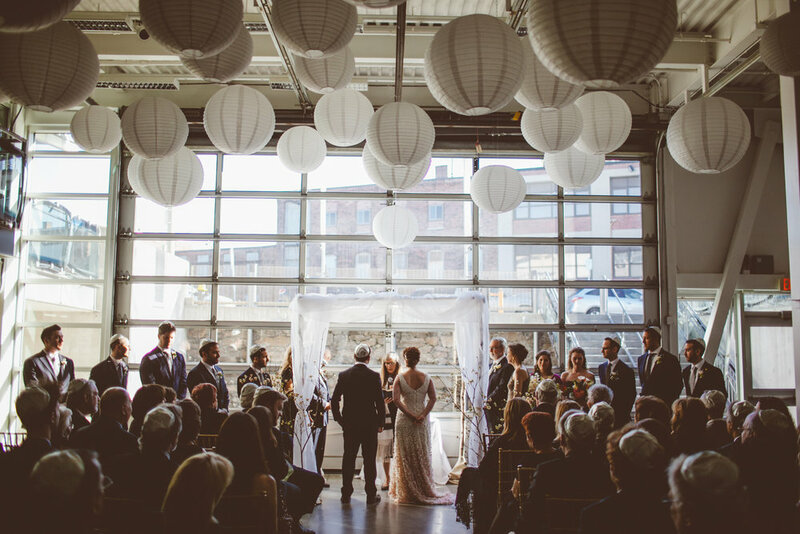 Artists for Humanity proved the perfect loft-style setting for this modern yet free-spirited wedding day, and Bittersweet Gardens surprised the bride with the most colorful array of flowers and centerpieces we've ever seen. 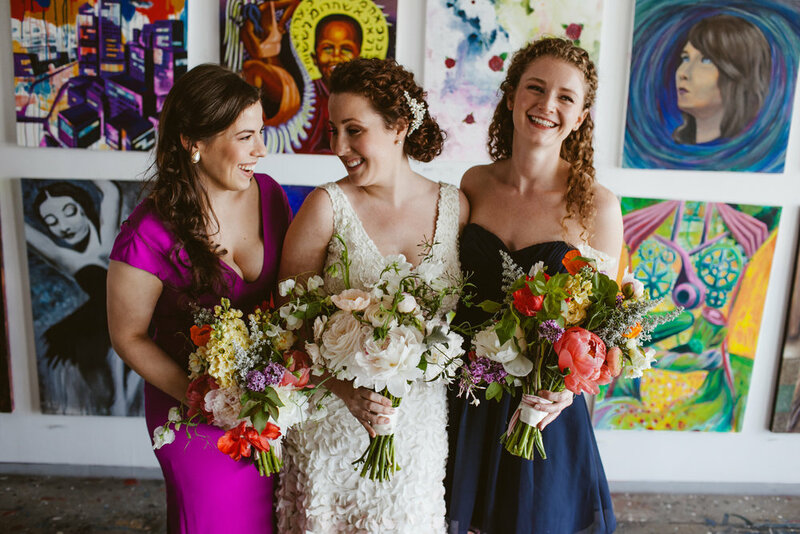 The bride asked that all floral elements be kept a surprise from her until the wedding day, but she asked that we make it ridiculously and amazingly colorful, with locally-sourced seasonal florals. 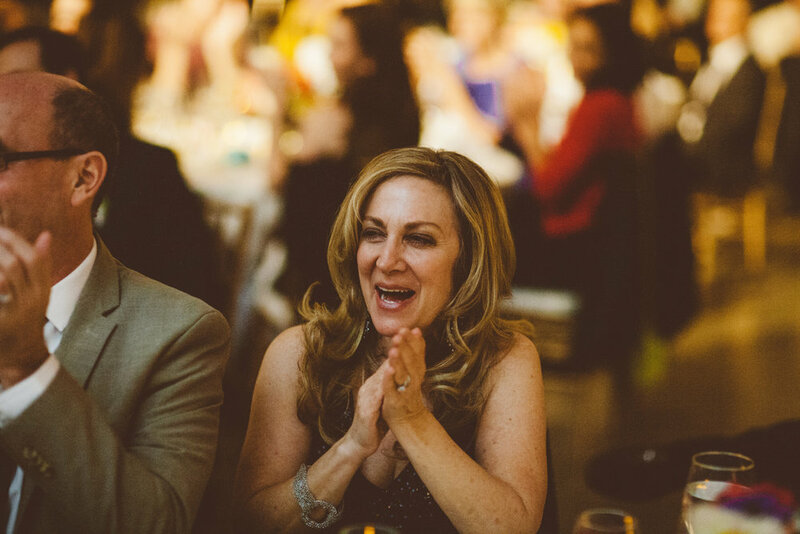 All of this excitement just made us that much more proud to be a wedding planner in Boston - this city is simply filled with the BEST couples! The tiny little cake, made just for the bride and groom, was created specially for the day by Sweet Tooth Boston. And the amazing Jeanne Spence and the team at Gourmet Caterers designed the most delicious seasonal menu for Anna and Bret, complete with a dessert table filled with colorful French macarons in lavender, passion fruit and cocoa flavors. The bride's dress was a gorgeous blush number from BHLDN, and the bridesmaids chose whatever colorful dresses they liked. Just over a year after this amazing wedding day (don't even get me started on the hora - the photos tell the whole story) Anna and Bret are preparing to become parents! We're so, so grateful to have been a part of their wedding planning journey with them, and we're overwhelmed with excitement over the next phase in their journey together! Anna and Bret - we love you guys!